Family Tickets: Book a family ticket for 4 people and save! Reel Deal: £15 for a movie and a pizza! Cinema ticket includes 50p at the Intro Cafe! Cinema Bambino: Buy one, get one FREE! £8.50 per ticket – see below for more info.. Relaxed Screenings: Buy one, get one FREE! Meerkat Movies: 2 for 1 tickets with comparethemarket.com! See the latest blockbuster movies with your babies & toddlers for just £8.50 (2 for 1 offer). The lights are up a little and the sound is lowered. Toys and cushions available for wandering minds. Screening times and days may vary, please check listings, press or box office for details – 01539 725133. Please note: Buggies are not allowed in the auditorium, they can be left outside the screen. Please see our weekly cinema listings for more details. Please see our weekly cinema listings for more details. 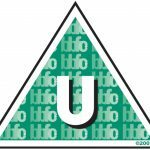 Our Subtitled screenings are for the benefit of those with a hearing impairment and we strive to show films with subtitles where possible. An infrared audio system is available in both Cinema Screens 1 and 2. Customers will need to use our necklace loop for hearing aids to work in the ‘T’ position. A separate headset is available if customers do not have an induction loop compatible hearing aid. Induction loops are in place in the Theater. Please ask for assistance on the door. A PG film is suitable for general viewing, but some scenes may be unsuitable for younger children. A PG film should not disturb a child aged around eight or older. Parents should consider whether the content might upset younger or more sensitive children. Cinema release suitable for 12 years & over. 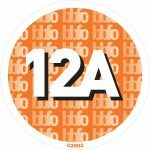 12A means that anyone aged 12 or over can go and see the film unaccompanied. The A stands for ‘accompanied’ and ‘advisory’. Children younger than 12 may see the film if they are accompanied by an adult (e.g. someone over the age of 18), who must watch the film with them. 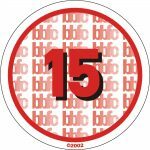 No-one under 15 is allowed to see a 15 film at the cinema. Please Note: You will be asked for proof of age photo I.D. if we believe you to be under 15 years of age. 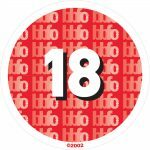 No-one under 18 is allowed to see an 18 film at the cinema. Come and enjoy a great meal, created from the finest local produce. We specialise in selecting the best ales for you to try, along with a wide selection of wines, spirits and soft drinks. We offer a range of high quality spaces for you to host your function or special event. Our vast experience in managing some of the finest arts and cultural events in the area means we are confident in our ability to make your event a success. Find out about the exciting programme of events for the season.